Data is one of the most important assets to any organization but unfortunately, many organizations struggle to effectively leverage their data and turn it into an actionable asset. Appsential offers a proven approach to identifying and translating the stream of disconnected data into concise, actionable insights that can be analyzed to help an organization set and meet its goals and mission. Appsential’s Business Intelligence & Predictive Analytics methodology enables customers to address their complete information lifecycle in the context of their operations and the way they do business to achieve desired goals and mission objectives. Appsential works with organizations to identify, extract and transform data from a variety of information sources in the information lifecycle, including Financial, Procurement, ERP, CRM, and Data marts as well as unstructured sources like content management tools, portals, documents and XML. How can Appsential drive your organization’s performance to the next level? Let’s talk. Request a meeting. 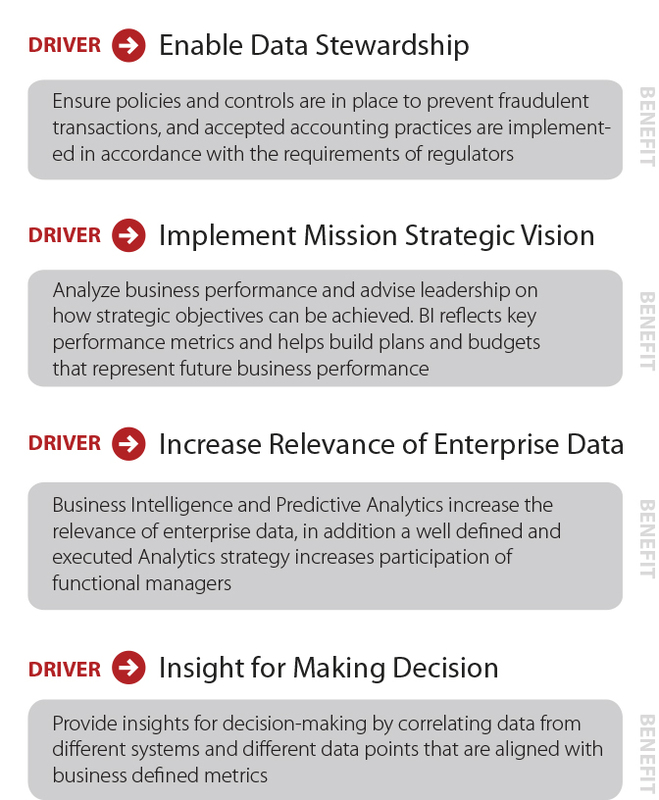 Download our Business Intelligence and Predictive Analytics Brief to learn more.